Zack MacKeller is a 23 year old airman currently volunteering in Young Adult Ministry in Boise, Idaho. Zack was brought on as a volunteer to serve Young adults who join the military, arrive at a military base, and have no one. They have lost their family and faith community. As an active duty airman and a volunteer of the Archdiocese for Military Services (AMS), he helps and is involved in various activities such as theology on tap, community service projects, and hiking. Approximately one quarter of participants in his ministry are Hispanic/Latino Catholics. 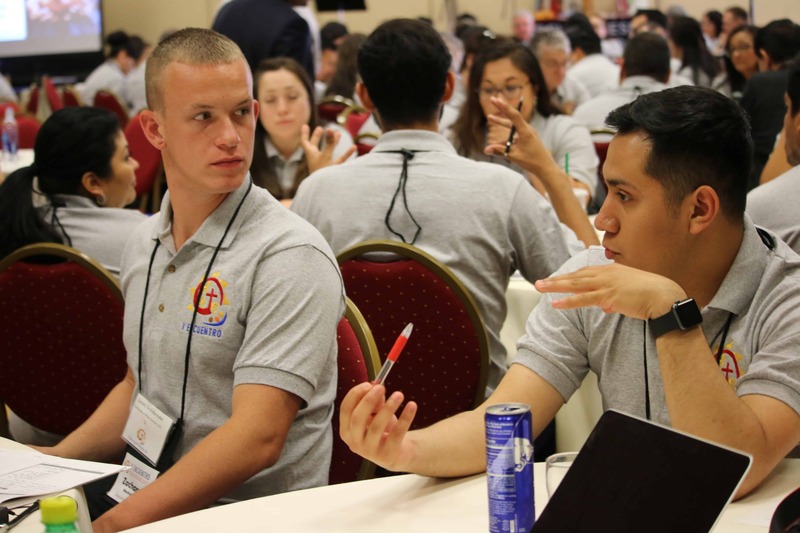 As a volunteer of the Archdiocese of Military Services, Zack Mackeller first participated in an online conference call on the V Encuentro coordinated by Jose Amaya. The online session was offered to ministry leaders and volunteers across the world. After the initial online conference call, they received the five V Encuentro Sessions online through the University of Dayton and were encouraged to visit the peripheries. 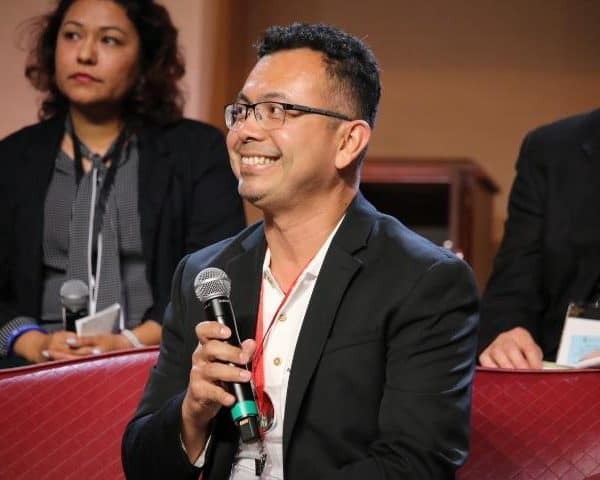 Minutes before the initial conference call, Zack heard Salvador Carranza, Director of Hispanic Ministry for the Diocese of Boise, speaking about the V Encuentro. 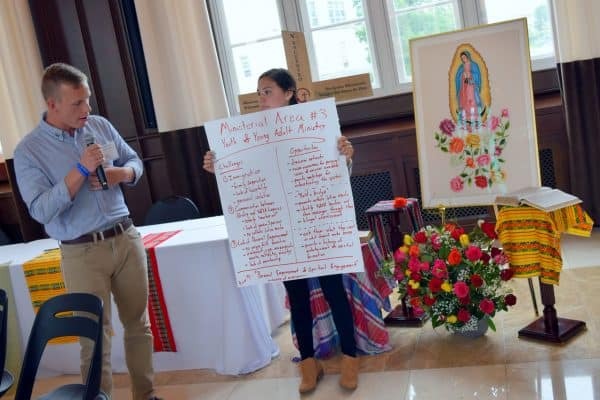 Zack was intrigued and met with Carranza to discuss Hispanic Ministry, as Zack saw a parallel between the experience of military personnel and that of Hispanic/Latino immigrants. 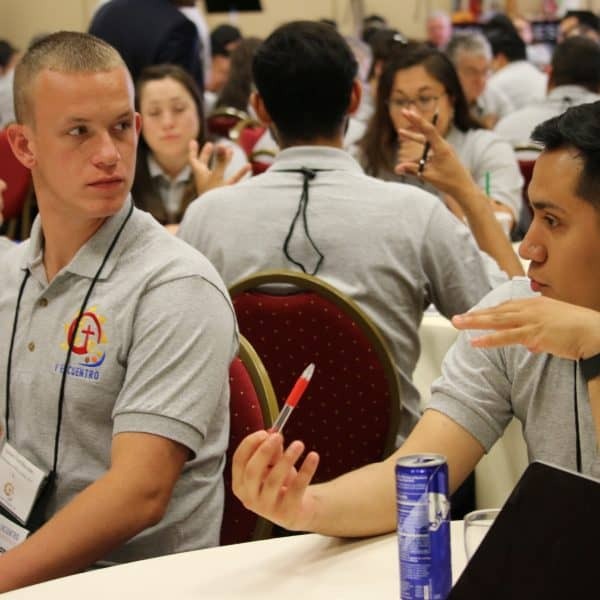 Zack Mackeller listens to a delegate during Region 12’s Regional Encuentro in Portland, OR. 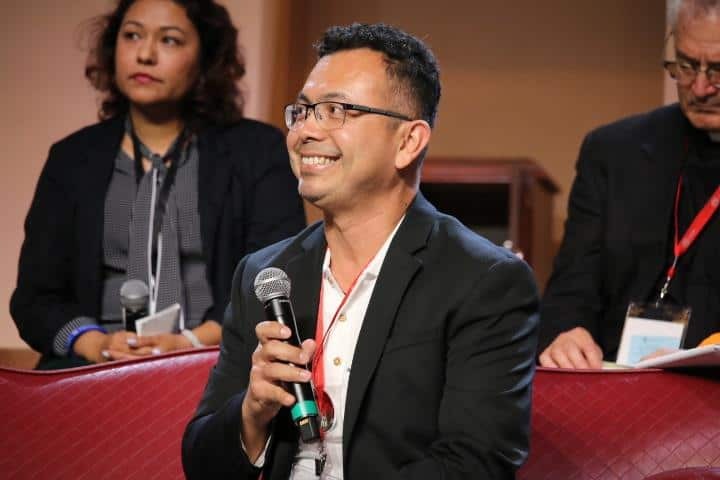 “When I was first asked to participate in the Encuentro process, I replied ‘but I’m not Hispanic, don’t speak Spanish, nor am I really familiar with the Hispanic experience’. But I participated and from this experience I’ve come to realize that I can relate to Hispanics in so many ways as a service member. I go to a new place and yearn to continue my faith journey and family traditions but many times there’s no welcoming community for me. I’ve discovered that this parallels so many Hispanics as well who struggle with challenges such as immigration and new cultures. During this Encuentro I’ve really been blessed to experience the vibrancy, joy, community, color, and deeply rooted faith of Hispanic culture in so many ways. Plus my Spanish improved from “almost nonexistent” to ‘not quite terrible’. 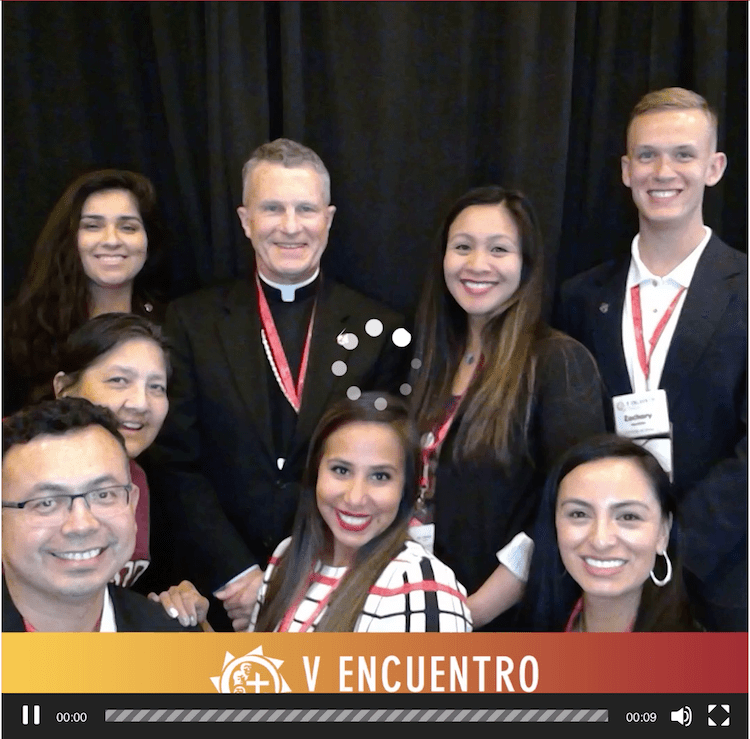 Delegates from the Archdiocese of Military Services at the V Encuentro Photo Booth in Grapevine, TX. 2018 © V Encuentro. Photos by USCCB/ Jose Amaya. All rights reserved.